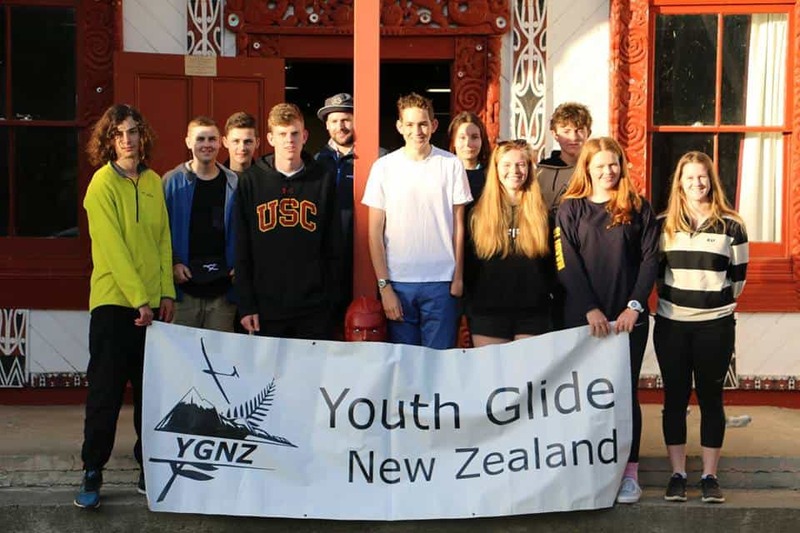 As in Australia with Joey Glide, the young ones in New Zealand are very busy; fraternizing, soaring, socializing …making friends for life and maybe love gliding “for life” as well. 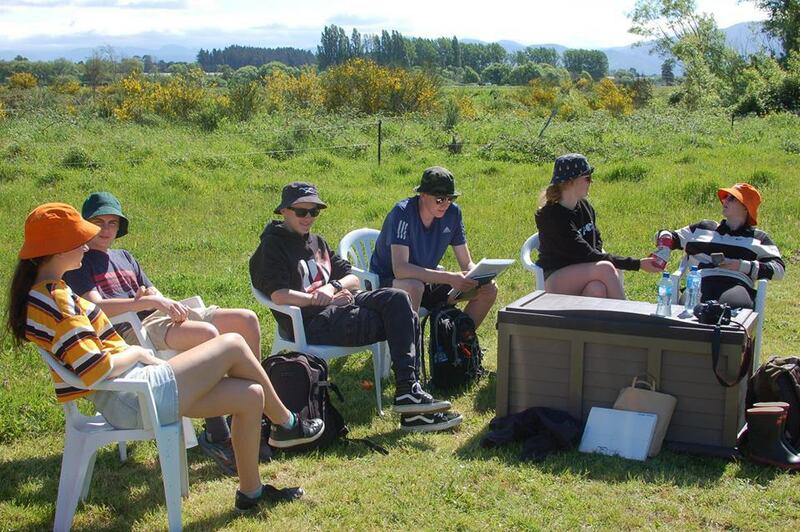 In October they had a fabulous long weekend at Papawai Soaring Centre and they shared some lovely pictures. Fun and tension on the faces. Great pictures of happy young pilots. —More young ones ,..now in the UK!! This is the class from 2018, but now the Air League Scholarship Season 2019 opens on November 2 !!! 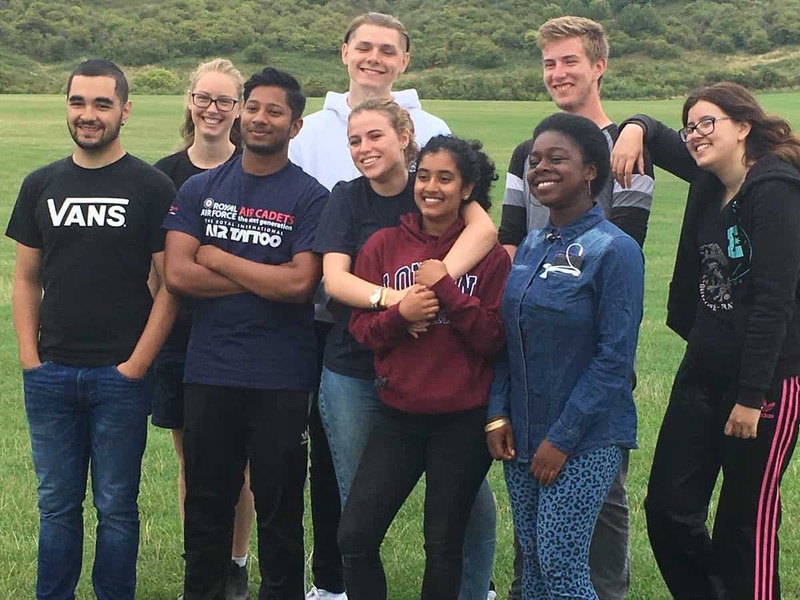 “Did you know that every year the Air League, together with our sponsors, awards approximately 100 scholarships to our young members as well as disabled veterans through our various schemes and initatives? —And the French young ones too. With coach Eric to the left and Jean-Marc to the Right. 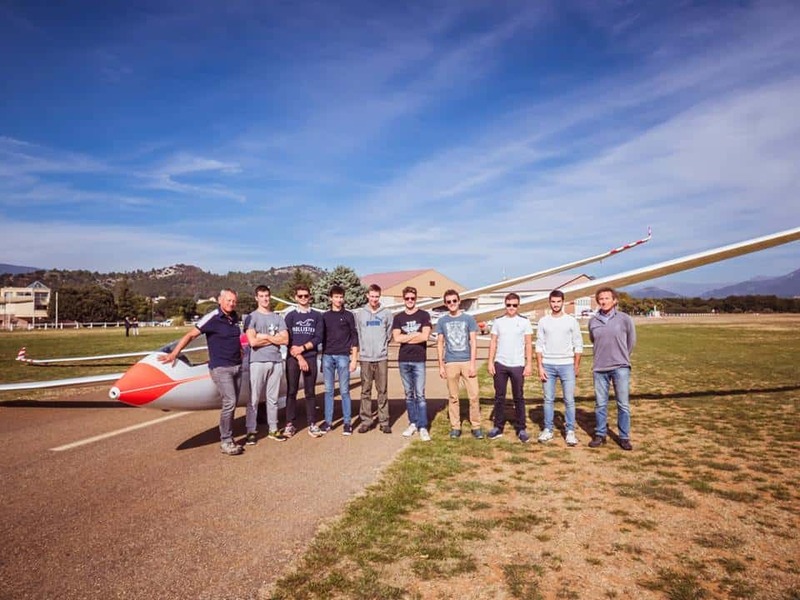 Gliding Center ST Auban invited the young pilots from the French squad . Eric, the French team coach spend time with them so did Jean Marc as trainer-in-charge for this hope for the future team. Their JWGC team for the comps in Szeged in Hungary between July 28 and August 10 2019 has 6 entrees. 3 In Standard class; Hugo Corbille, Sofiane Scally and Aude Untersee. 3 In Club class; Julien Duboc, Adrien Dubreuil and Clement Flick. —–Bitterwasser is ready, containers arrived ,first glider is “out of the box”. The season can start and hopefully the weather is as good as last season. 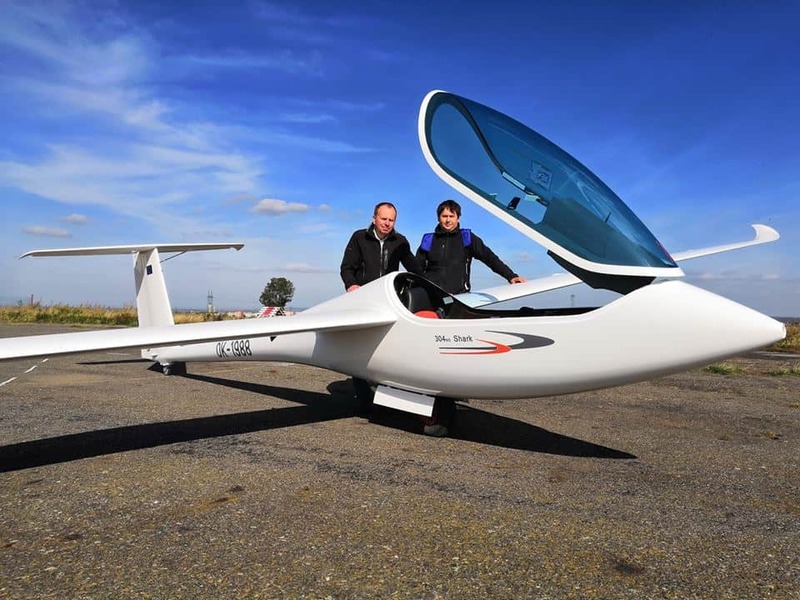 The new VENTUS 3, good to see this glider in Namibia. First time ?? First time??? Yes it is…what would we do without people as Wilfried ?! 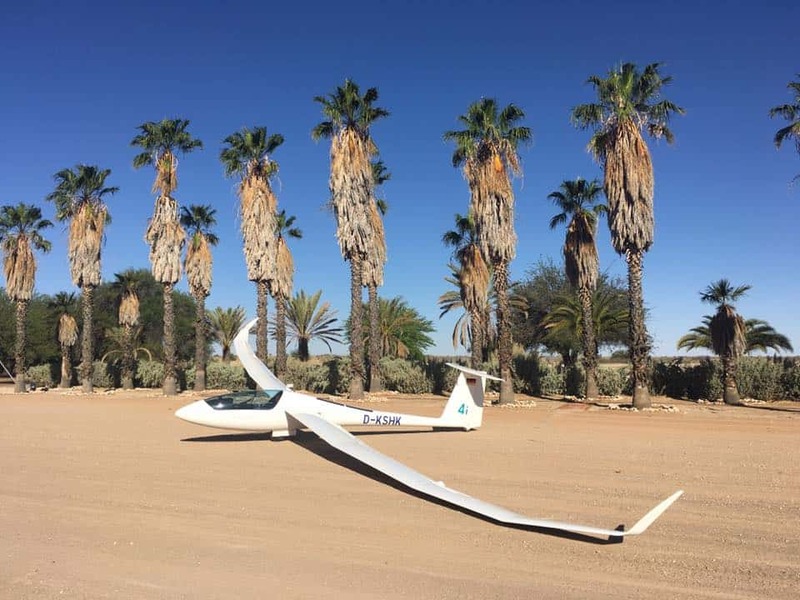 “The first Ventus 3 arrived in Namibia! ✈️➡️ Wilfried Großkinsky is supporting the young pilots, who will be able to set records or simply have great flights in @Bitterwasser. 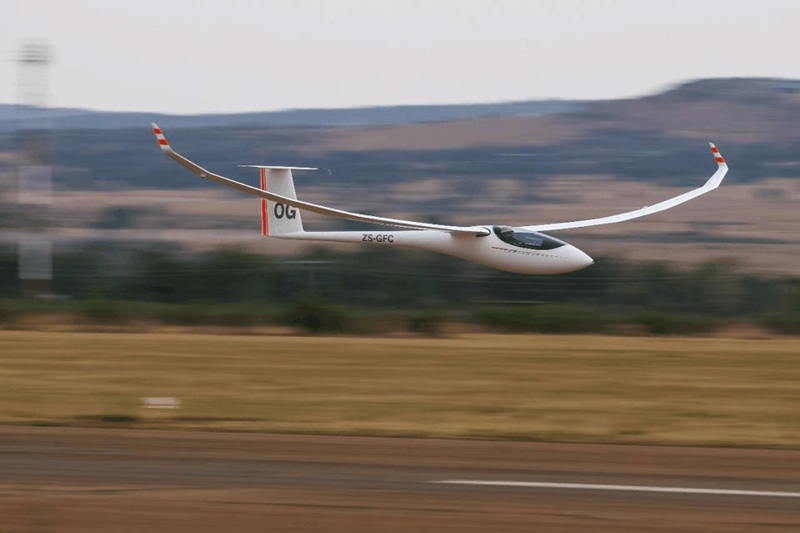 Great soaring weather in S.A. On the 29th Oscar [Goudriaan] started the new season with a 1.040.89 km. with a speed of 158.6 km./h. from Potchefstroom in his JS 3!!! It was a real FAI triangel from 1.013 km. ;speed 151.5 km. 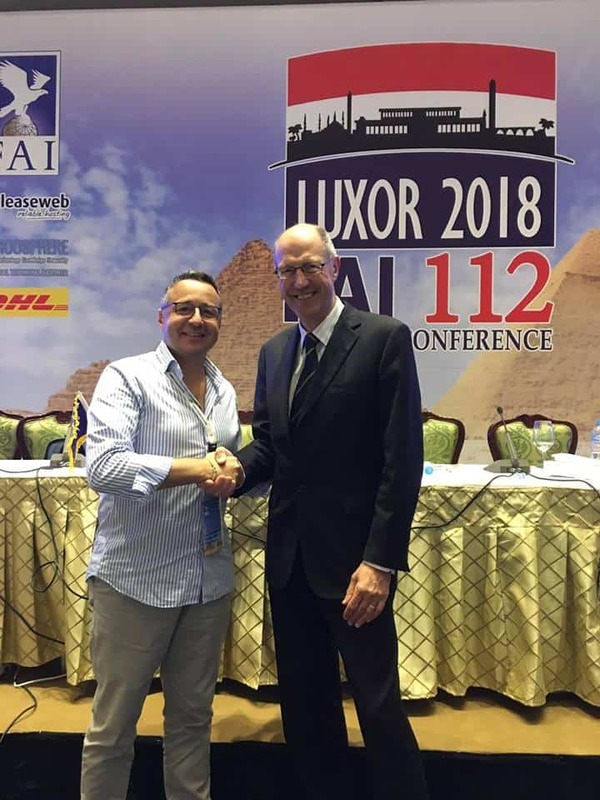 ———At the FAI Conference in Luxor, as always, awards have been handed over. 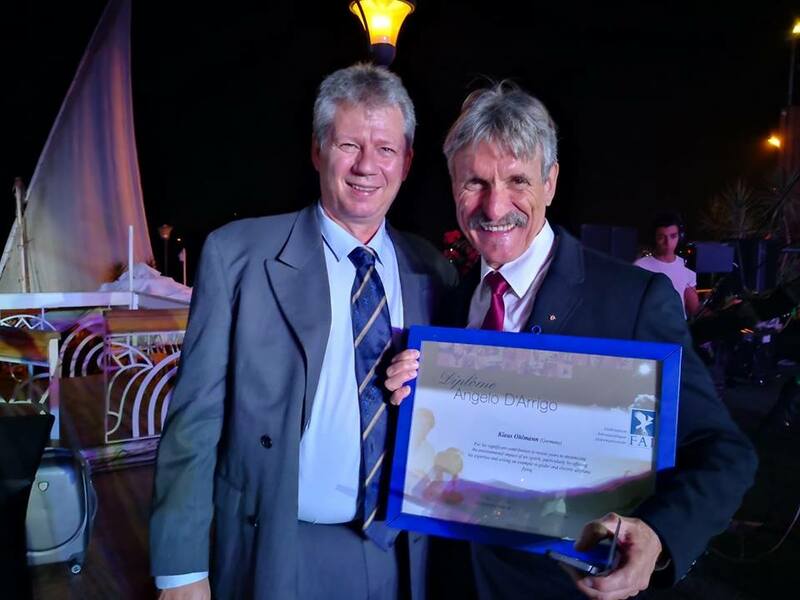 This time the Gold Air Medal, the most prestigious FAI prize, was awarded to Hermann Trimmel, a glider pilot and a great meteo-guy! The Diploma FAI Angelo D’Arrigo was awarded to Klaus Ohlmann. Picture 1 courtesy Visa -Matti on this pic with Klaus. And picture 2 courtesy Marina ; Hermann to the r.
Gliding has a strong representation in the new FAI executive board which was elected Saturday. President is Bob Henderson, deputy president Alvaro de Orleans and Marina Vigorito is executive director. And of course, Susanne as the secretary general. Great team I have high expectations!!!!! With Bob to the right. ——over 35 dgr. 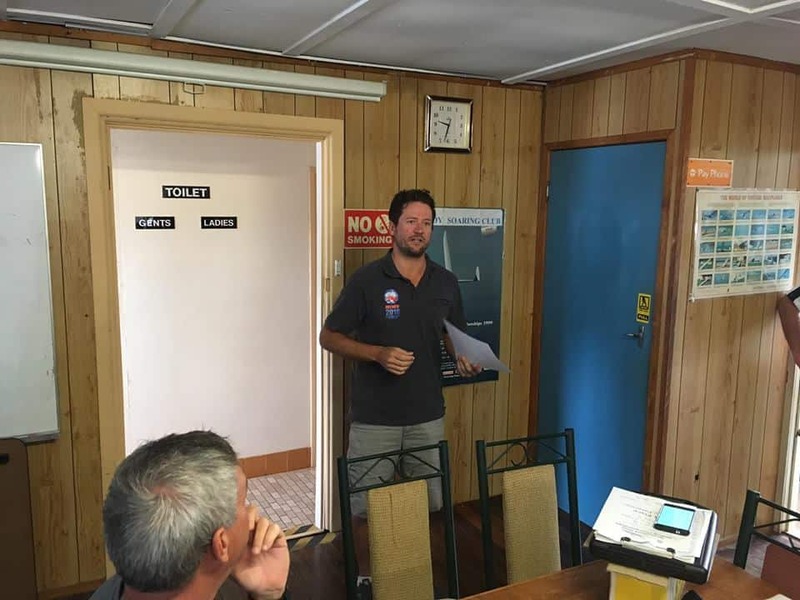 C. in Tocumwal,I heard……. —— 1st FAI World Drone Racing Championships in Shenzhen, China is about to begin and according to Visa -Matti, the track is looking good. —-NOBODY complained in Holland about this last season. A ripper-season. It finished last weekend, but still with OVER 300 km. in an ASG 29 from Soesterberg.!!!! !OCTOBER 27!!!!!!! 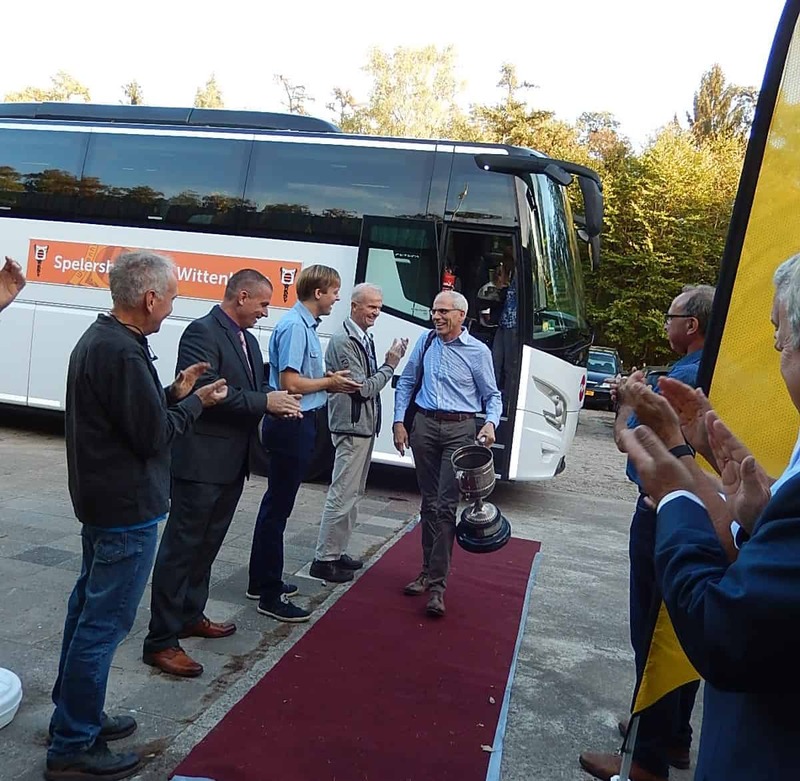 Stendal prepares for 2020 WGC ! The overseas weather starts to warm up. Gerrit flew from Mc Caffery [Australia] over 500 km. in his Quintus and his wife Pam 441 in her ASH 31/21 m.
Orient [South Africa] had several over 500 k’s in Ventus 2 CM and N.Z. … Omarama with Max Stevens in an ASW 27 as well. Last Wednesday Bob Gray flew 563 in a DG 100!!!! 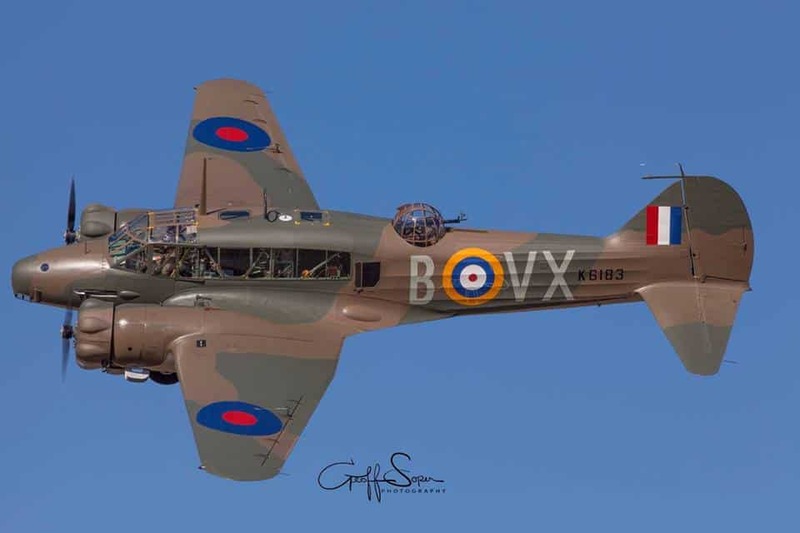 Temora pilot Brian Du Rieu flew over 500 in his LS 10 . Bitterwasser will be “hot” in several way’s from November onward. 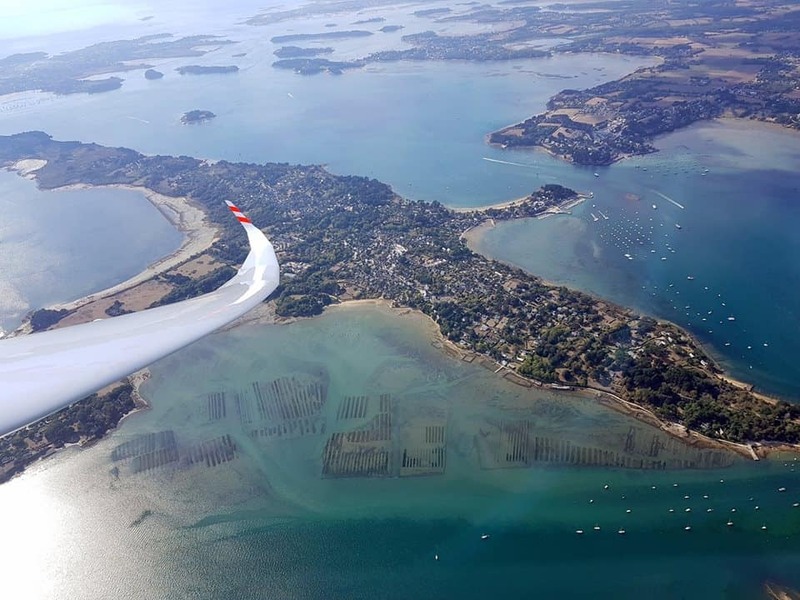 From November 3 they fly there the first week of FLYING WITH THE CHAMPIONS, as usual in co-operation with Rent-a- Glider, with Wolfgang, Ludwig and Dieter Schwenk. 2d Week will be between November 10 and 16.More later. “Mount Tasman taken by Gabriella Morton a few days ago. Spring flying is awesome! The place to be for the next WGC and they work hard, very hard to get the airfield in the very best condition. The German Nationals will be there in 2019 for open and 2 seaters. It’s between July 8 and 19 in 2019. 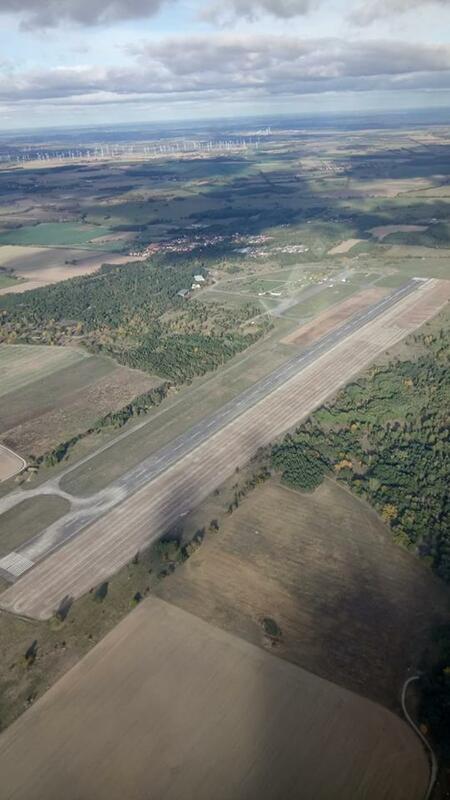 There will be also a training-competition for 18 m.
“The international Stendal-Glide will be your opportunity to get to know the airfield and the region of the WGC 2020. It takes place at the same time as the German Nationals. 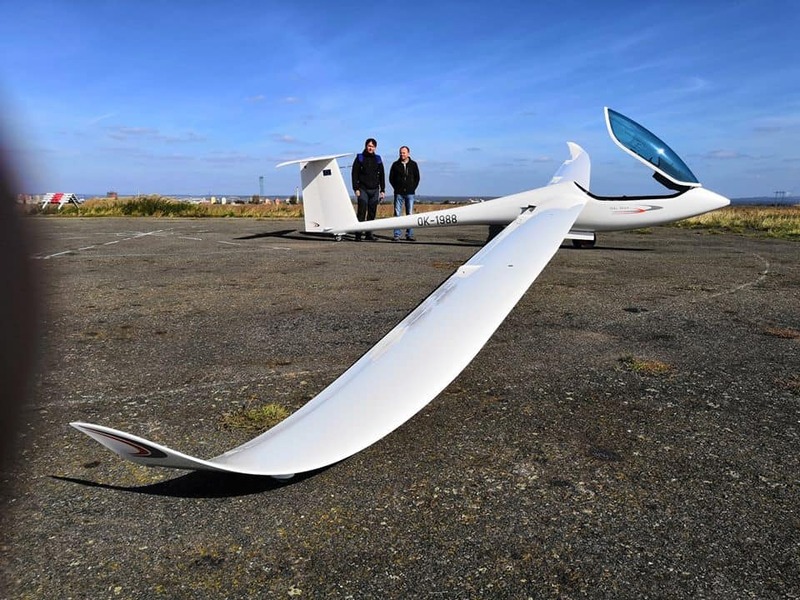 The 2019 German Nationals for Club and Standard class will be flown between Mai 20 and 31 from Zwickau and the 2019 Nationals for 15 m and 18 m. will be flown between July 22 and August 2 from Marpingen. 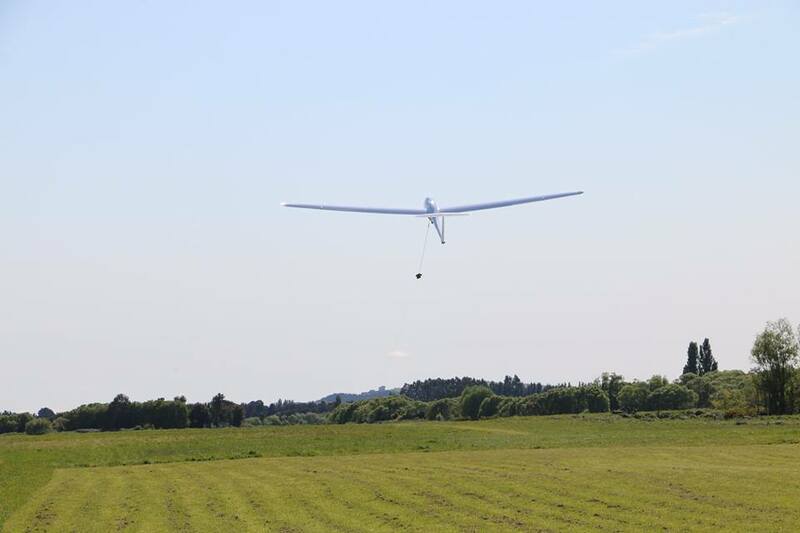 The 36th WGC in Stendal will be flown in 18m ,Open ,20m between July 19- July 31 2020, so you are totally up-to -date now! 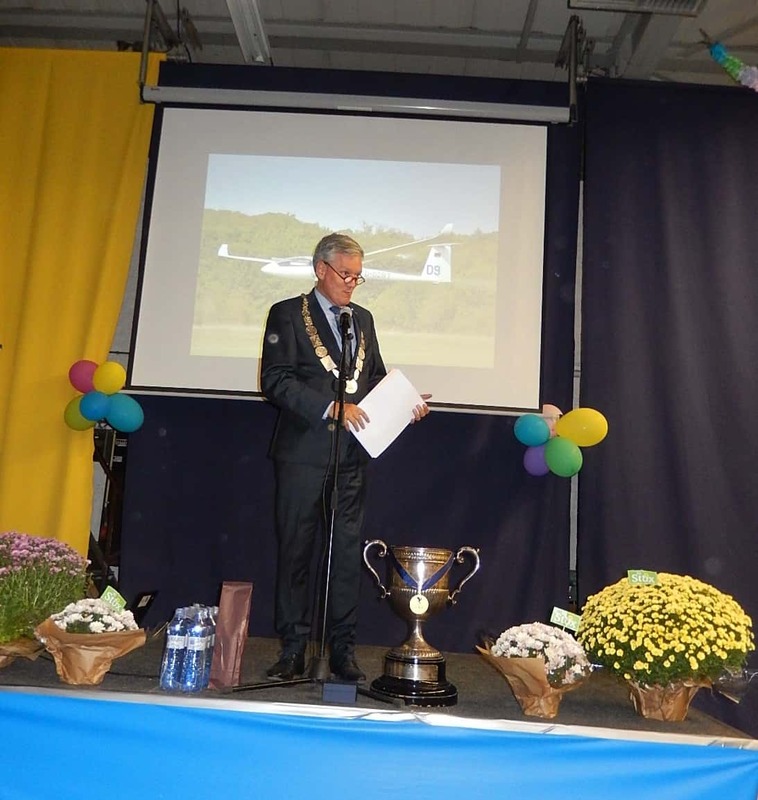 As good old Bert de Wijs is retiring , DG shared the next news in their DGAircraft News. Indeed Holland is very proud on this Service Center. 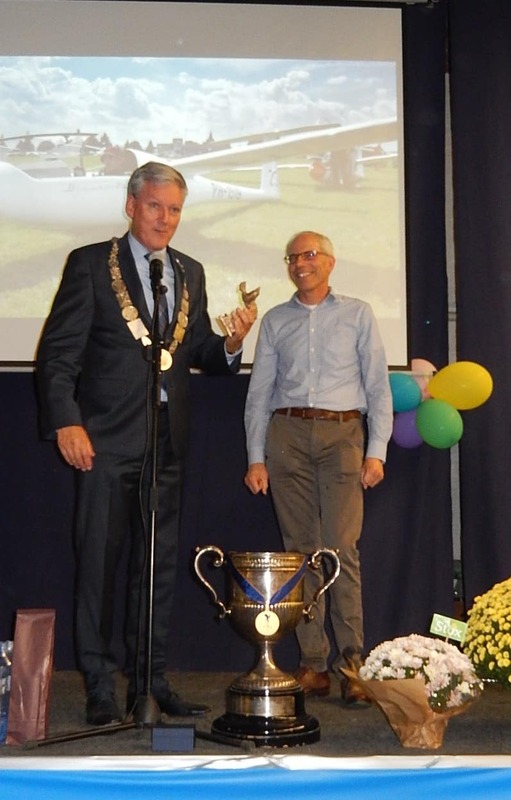 —Believe it or not, but Sikko Vermeer, who works at the above service center, flew last Monday IN Holland mid autumn most probably the longest flight ever for this time of the year;417 km. on October 22!!!! 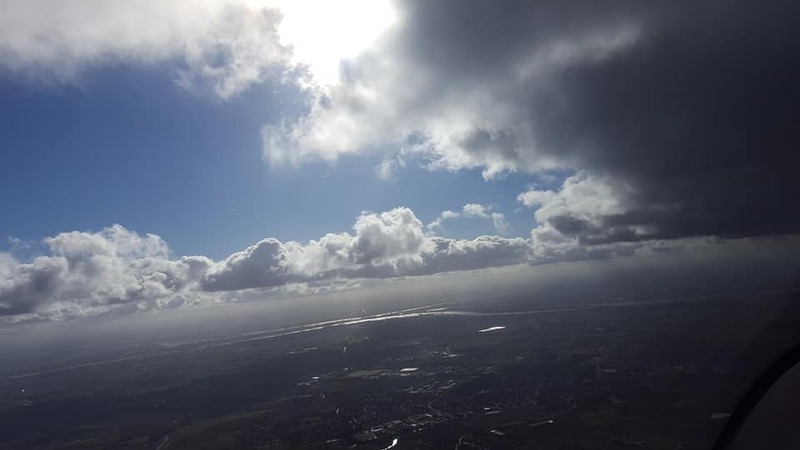 When he arrived at Soesterberg airfield there was some drizzle , which quickly cleared and with the first thermal activity , he was on his way.Flying South, nearly to where I live and back North, then making the 400 km. Great job great FLIGHT! !Have a look at the OLC on October 22, number 4 on the list and I say it again flat country no wave!!! In my last blog I wrote about our new World Champion Sjaak Selen. It seems I understood something wrong ,so here is the correction I got from Sjaak. It was not “the father from the dad ” from Sjaak and Baer, but the brother , so his uncle Jan Selen. And Jan was very involved and not “just” a glider pilot . He was Dutch National champion in 1955 and represented the Netherlands at the WGC in Argentina in 1963!!! As said before a REAL soaring family!!!! As shared by ZWEVERS[ Frits]. BIG FAI General conference is in Luxor [Egypt] this week on the 26th. FAI Air Sport General Commission is on the 24th same place. To finish this great picture by NZ top-photographer Geoff Soper. This one is on canvas and by the way, he sells his pictures. He took the picture at Classic Fighters, Omaka, “its ultra sharp and blew up well on a 1.5m canvas print“. Dutch celebrations for Ostrow-world -champion- Sjaak!!! That’s what it was ALL about!!!!! On the hottest EVER 13th of October with 28 dgr. C.!!!!!!! Max and Frida picked me up to travel to Venlo for celebrations around and with Sjaak [Selen] who became WGC champion this year in Ostrow in standard class!! Also the day, that a rare weather phenomena happened ; a hurricane reaching Europe and damaging parts of Portugal and France suffered from terrible flooding. We got hot air from the devastating Michael ruining parts of Florida.The depression now is nice to us with a week with temperatures between 20 and 28 in October…autumn. But back to Sjaak and his well deserved special day. It’s always nice to come back at Venlo where , as you know, my soaring- interest started and my first flight was a fact in 1967. I straight away walked to the hangar, where “we” had our 3 gliders the Grunau Baby, KA 7 and Rhoenlerche. It looked as if time stood still but,…I heard the old hangar had collapsed under a load of snow damaging trailers caravans AND gliders!! That’s why it looked so fresh and “new”. So they build a new one and as Venlo and Eindhoven are ONE club now, with a really pleasant atmosphere, they are building another new one at this stage at the opposite side of the old ones. Not all gliders were in, as the weather was so nice that gliders went up, but back in time for the ceremony and party. I know the Selen family from long long ago, but did not know that over -grand-dad was a glider pilot as well. I knew Baer and Sjaaks father was involved, as we spoke about it when we met in the past . Interesting as well ALL of them represented Holland at WGC’s. So pretty normal that both brothers got involved. Not so normal ,….that they both won a world title and Baer even 2 , one in Chateauroux in 1978 in Standard Class and one in Uvalde in 1991 in the same class.That’s a TOP RESULT. From the 4 WGC titles ever won for Holland, 3 are in the hands of the Selen family. What about that!!! And when I tell you that Kees Musters when he became WGC champion in Hobbs in New Mexico in 1983 , was a member of the ZES , FLYING AT VENLO, you see that Venlo has some special ingredients to create champions. And I noticed ,a lot of young ones there, so the future might bring more champions and looks BRIGHT!!! The Selen family arrived at the airport in a bus with Sjaak and Baer coming out first and of course that huge CUP. Club members and club president Yoeri welcoming their guests. 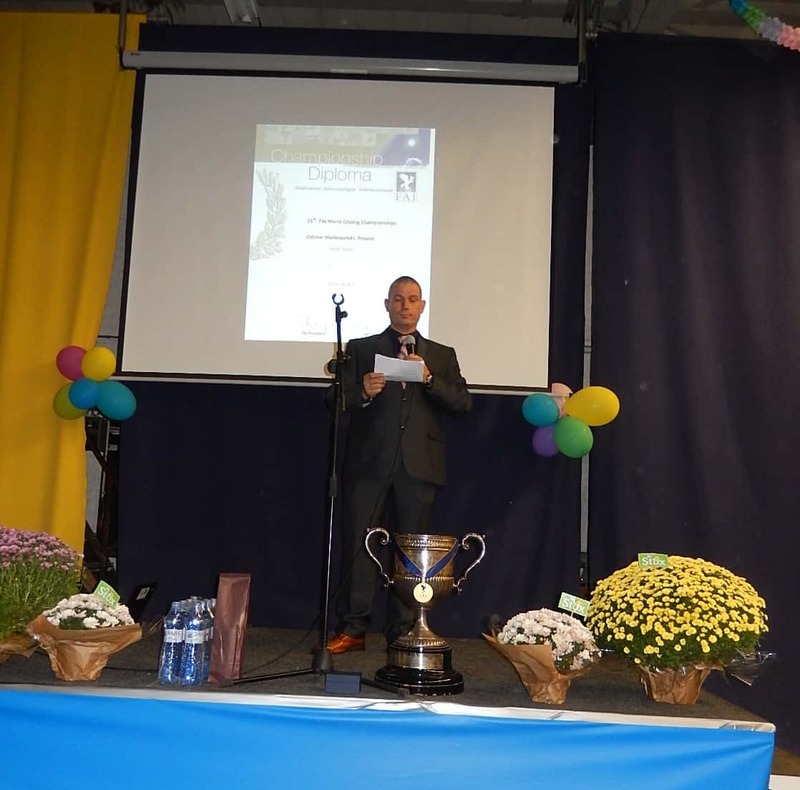 President of the club Yoeri welcomed everybody and the mayor arrived and it was great to hear that he had put some “work” in his speech ,as it was a good one; well prepared. Both Baer and Sjaak were happy with all what happened and posed for my camera as well. 2 brothers , 3 WGC titles in St. class in 1978, 1991 and 2018!!!!! One of the presents was a CHAMPIONS-trophy “in blue”. 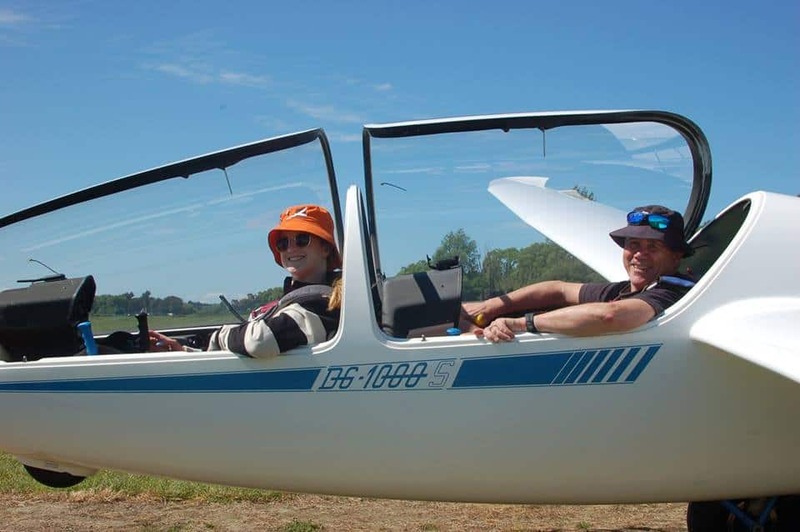 Frauke [IGC member for Holland and working at the KNVvL office] and Baer started years ago a coaching trajectory for cross country pilots. 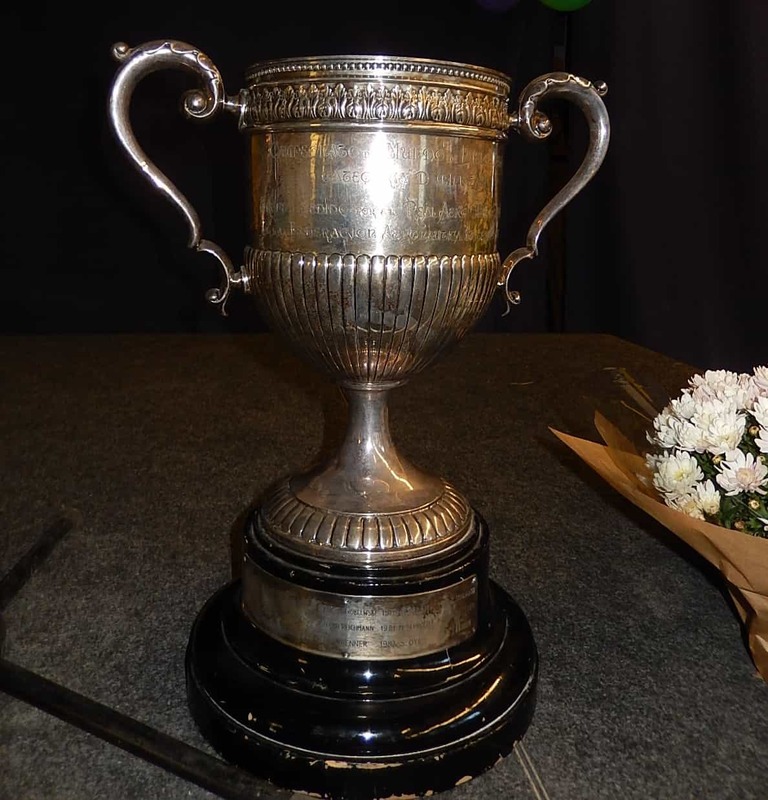 Baer thought it would be good , to grand winning pilots with a special CHAMPIONSHIP TROPHY, a challenge cup. It exists now for 13 years and in that time 8 Dutch names were added; 4 European titles, 3 JWGC titles and now 1 WGC title. They never expected that. Not bad for a small country like Holland. This time it was Baer handing over the challenge trophy to his brother. 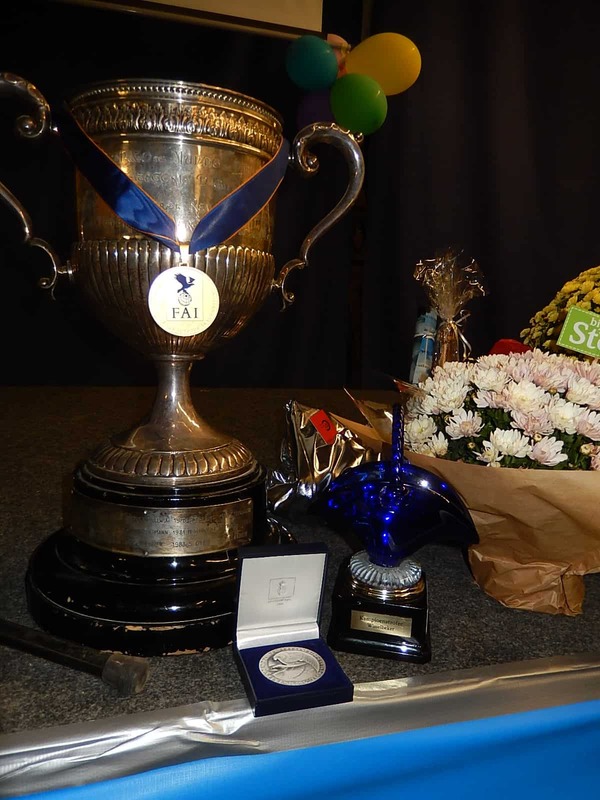 The blue trophy and the cup, the WGC medal and a silver award from the Dutch Gliding Association to honor Sjaak. He got as well a canopy cover in silver with his call sign 2S. And lot’s of flowers specially for partner Liliane ,who shared in all celebrations as his crew, who inspired and helped him. Liliane is in our female team, so she knows what it is all about. We also had a very nice 2-course-meal sponsored by Max Verstappen’s JUMBO supermarket. 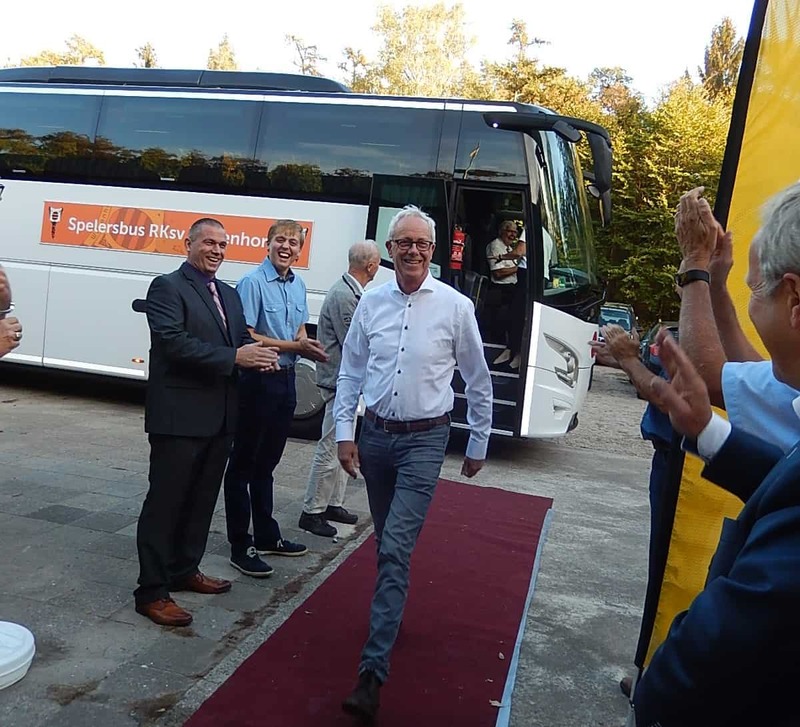 And as one of the speakers mentioned, Max , also from the province Limburg,is not even yet the best of the world, Sjaak is in his discipline and what huge difference in “wages”; too much for the one ,” nothing” for the other……??!! By the way JUMBO sponsors cycling and speed-skating as well. 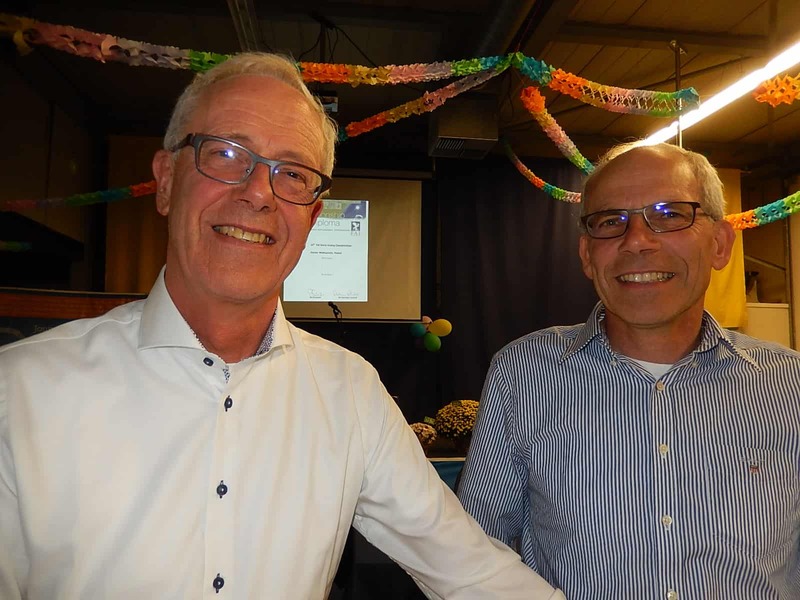 Conclusion; a great evening thanks to the combined Venlo- Eindhoven pilots now in ONE name; VEZC [Venlo Eindhoven Zweefvlieg Club] Compliments for all of them!!!!! 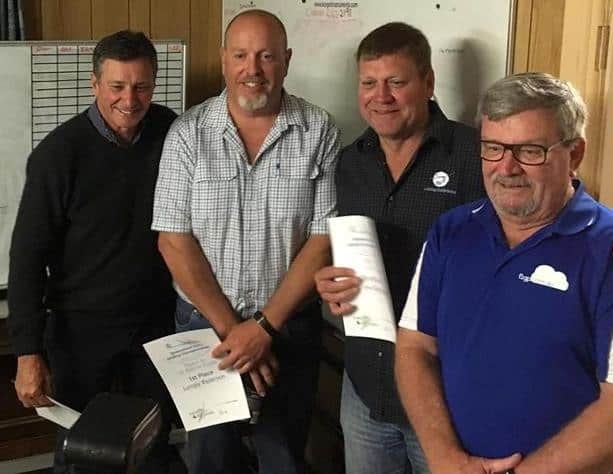 Great to see some faces I had not seen for 50 years, awfully nice to catch up with 4 pilots who flew with us in Tocumwal and I had not seen anymore after and sorry I cannot share pictures from all the visitors due to that stupid privacy law. 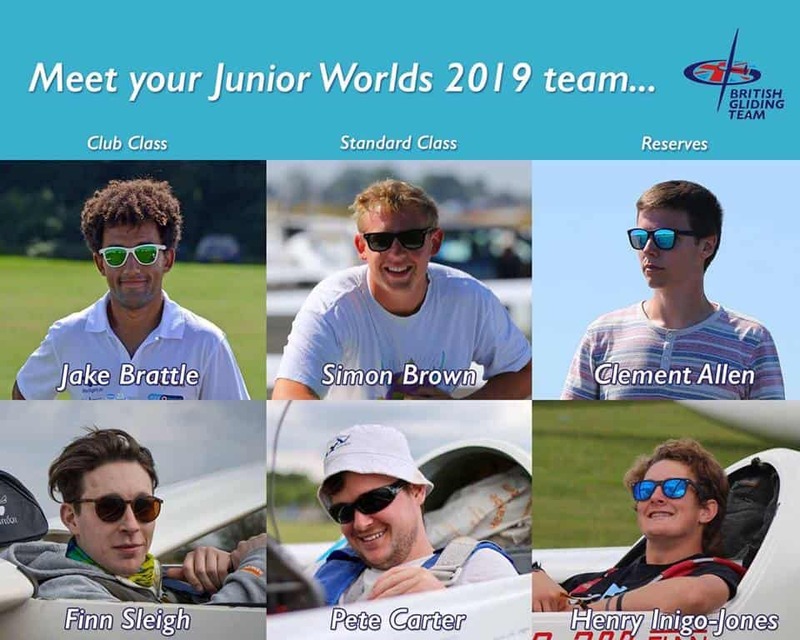 “The British Junior Gliding Team competing next year at the 11th Junior World Gliding Championships (Szeged, Hungary) has been announced! I wish them good luck as well. Bitterwasser shares, as the season has not yet started, a press presentation from the new Audi E tron. 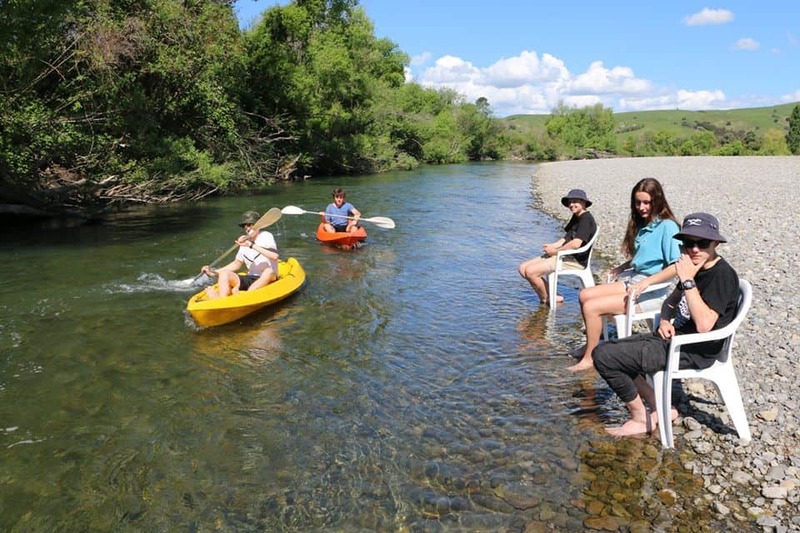 Proud that it happens at their Bitterwasser Resort. 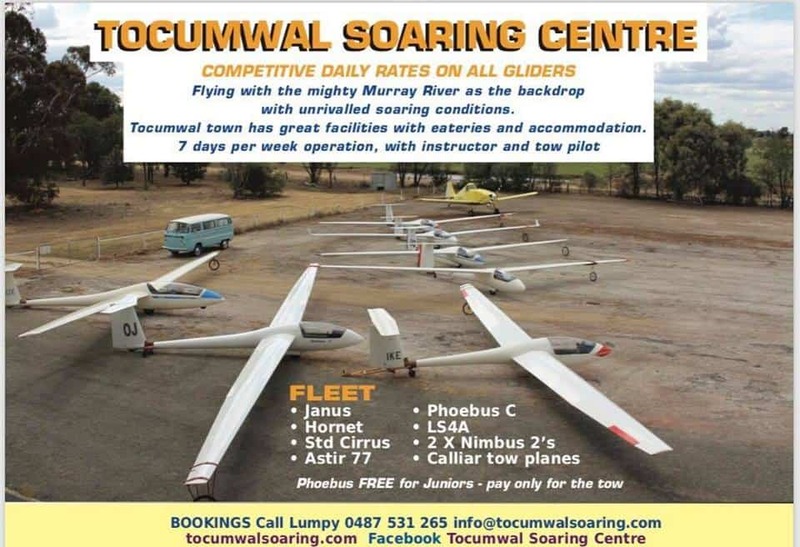 Tocumwal Sportavia shows most of their fleet as they, Lumpy, started a new commercial gliding center. With their message;”Most of the fleet out today, when are you coming to TSC? It’s a rent -out-fleet and the Nimbus 2 is “missing”. 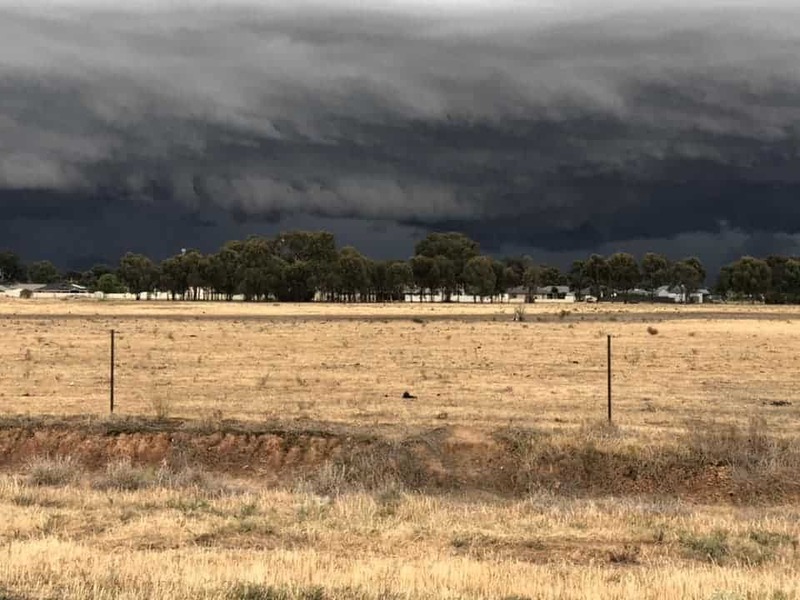 AND,…yesterday dark clouds over Tocumwal as you can see on this picture by Donna Boaden. 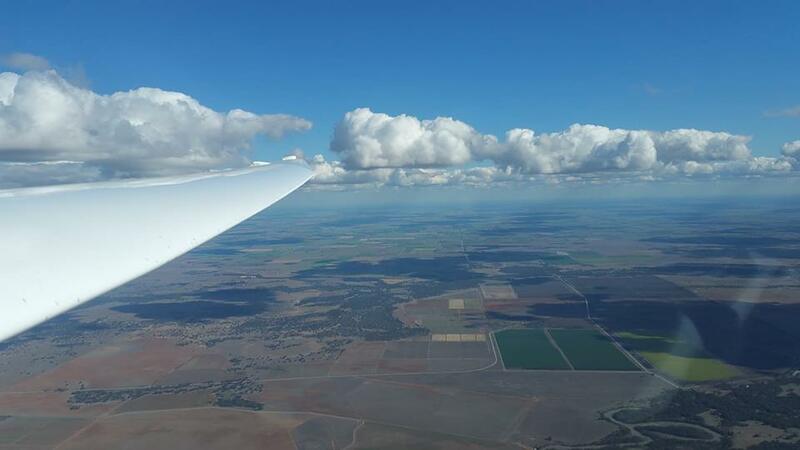 This picture shared by Eddie from SportAviation Tocumwal shows why there were dark clouds. 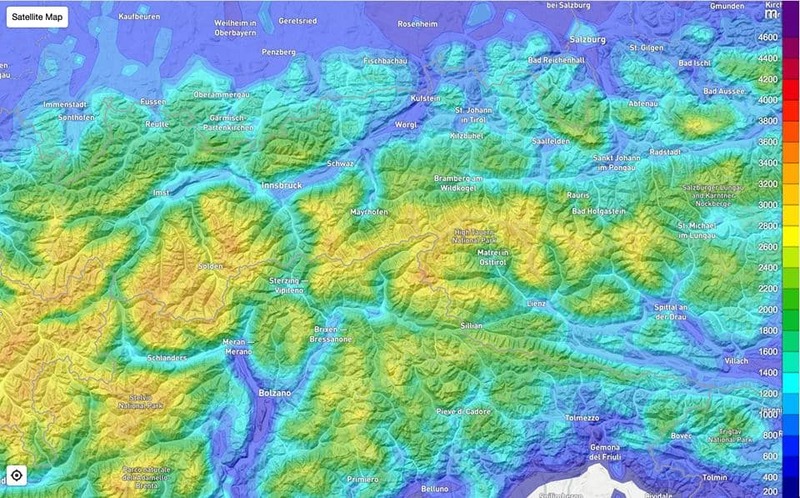 “We’d like to announce the imminent launch of a substantial refresh of SkySight (try it now at https://beta.skysight.io) – we have been working hard over the year to improve the presentation of our forecast maps. 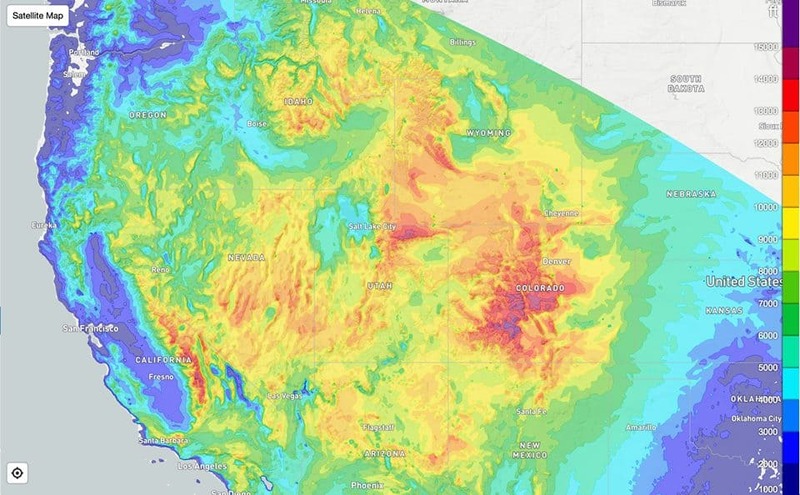 We are now rendering our plots with vector forecasts rather than raster forecasts, allowing us to show place names, labels and borders on top of the forecasts, helping to orient you better. The interface should be much faster and clearer, especially on mobile and tablet devices. The efficiency of our new processing pipeline to generate the vectors is such that we hope to be able to increase the detail in our forecasts in some regions, and bring out our forecasts earlier in the morning in others. Most importantly though, the new system is a better base to build new advanced functionality on top of, and we hope to bring adjustable scales, colours (colour-blind mode! ), 3D interactivity and much more in the coming months. We still have some optimizations to finish and a few bugs to fix before launch, but it will be launching on the main SkySight domain in the coming weeks. We invite you to try it at https://beta.skysight.io and to please write us feedback at skysight@skysight.io, or via the inbuilt Help functionality. Not so much soaring-news this week…By the way a great foehn -day last Sunday with strong wave and 994 km in an ASH 26 E starting from Unterwoessen [Germany] , straight S. to the mountains and 991 k. in a Duo Discus XLT from Wiener Neustadt in Austria is “pretty good ” too!!!! 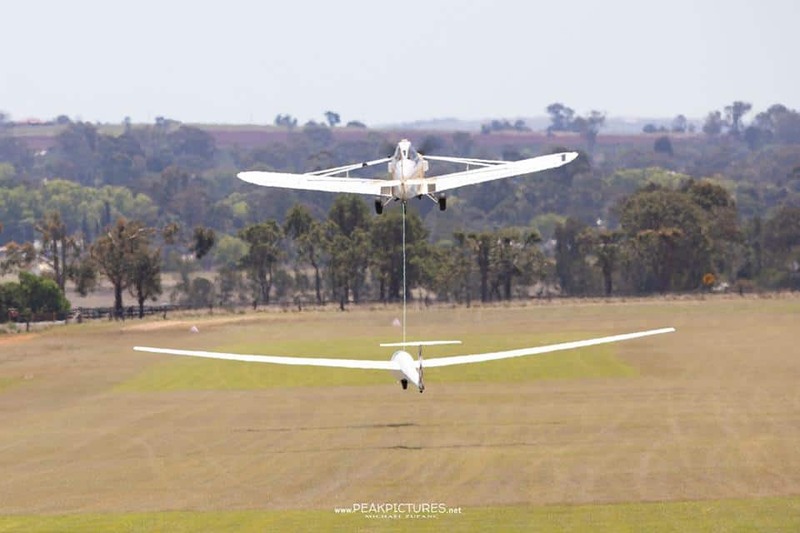 Kingaroy Formula 1.0 Gliding GP ! South African Nationals !And more…. 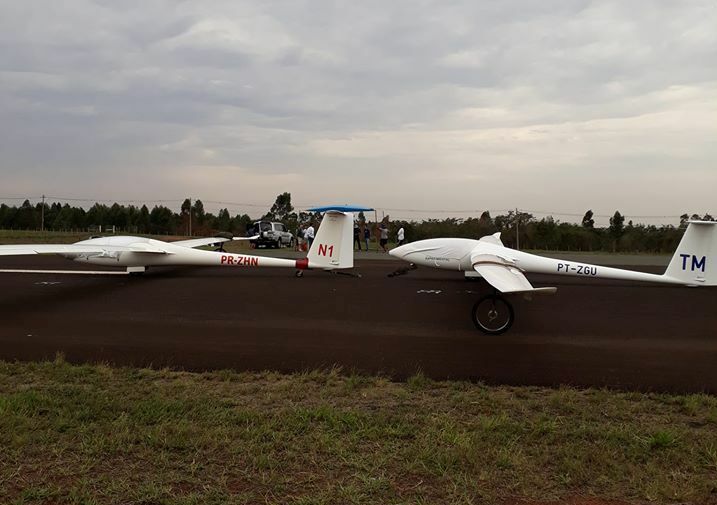 —–Kingaroy Formula 1.0 Gliding GP. The Kingaroy GP, started task 5 when I left you and all day’s before in 15 m. were Adam’s. 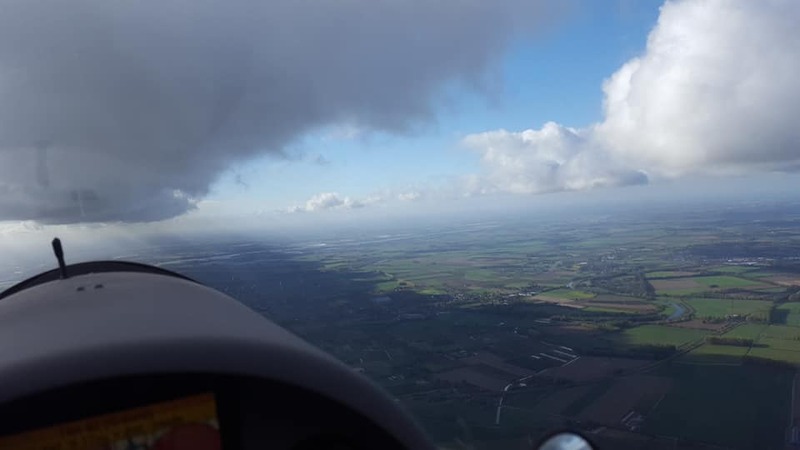 So I was interested to see how he went, but it turned out to be the last flying-day, cause the weather turned poor and as far as they could see the fore cast there said; no soaring possible anymore . Not unusual in this early spring time in the East of Australia. Task 5; 247 km…. and YES with 129 km./h Adam raced to another daily win. Lisa [Trotter] and her husband Peter, were runners up. After 4 tasks Adam leaded with the max amount of 40 points, Peter was 2d with 26 and Lisa 3d with 21 points. the 15 m. champion winning EVERY day and winners. 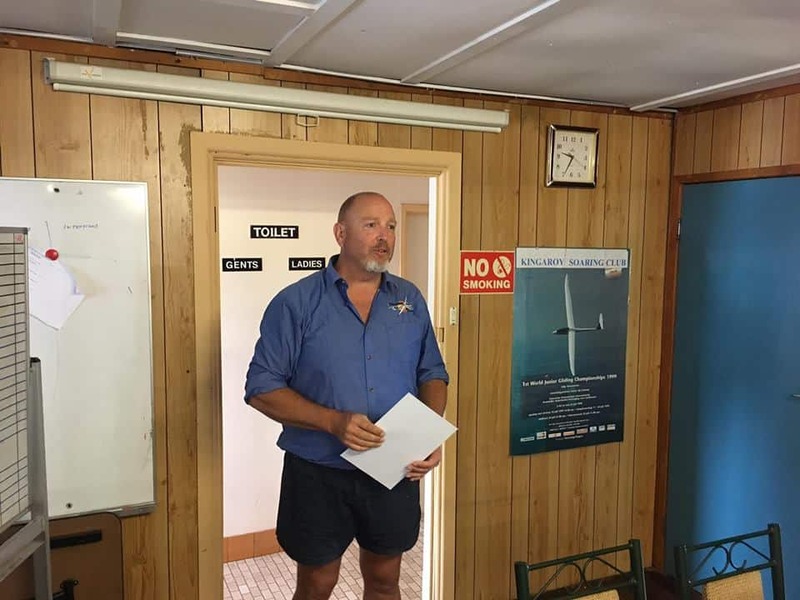 “Having fun at the QLD State Gliding Championships presentation dinner, we ended the comp today at briefing, as the weather is poor now until the end. I was fortunate to win all four days & be declared this year’s champion ahead of two of my idols, Peter & Lisa Trotter.” Adam. As shared by the Kingaroy club. Task 5 ;291 km….After 1 “off-day,” Lumpy was back to his “good-day-style ” and won the last race with a speed of 122 km./h. Greg [Kolb] in Ventus 2 CX was runner up and Brian Du Rieu in his LS 10 3d. In the end a total of 36 points for Lumpy,Greg was runner up with 27 and Andrew 3d with 26. Brad [Edwards] had 25. Lumpy as number 1 and Greg and Andrew as number 2 and 3. AND, the CD of the comps. 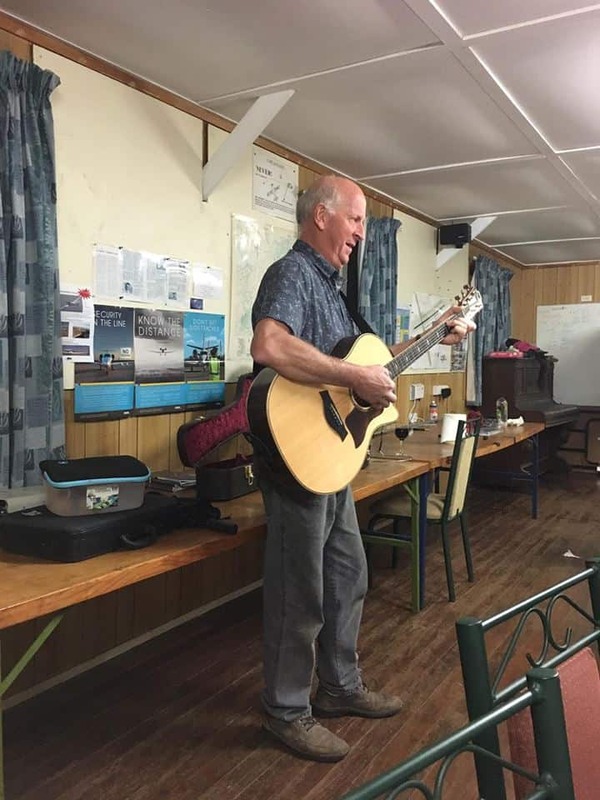 After the final dinner there was of course the presentation……..AND time for Music. Good “old” Brad [Edwards] still singing as at the WGC in Uvalde 1991 !!!! Love it!!! 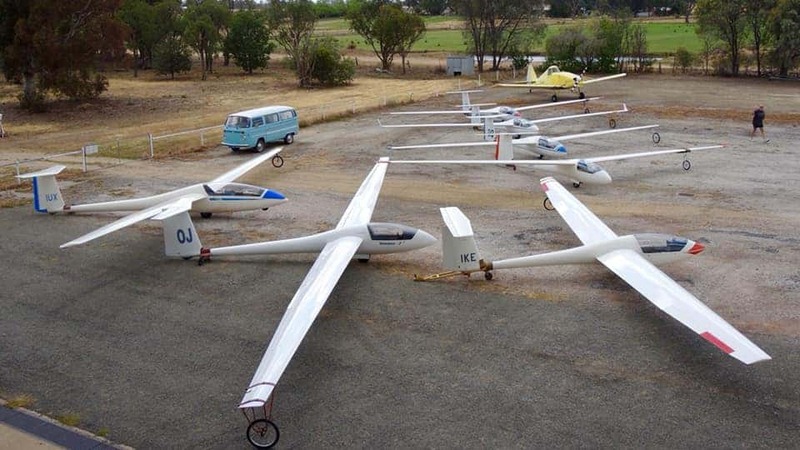 As shared by the Kingaroy Gliding Club. they continued first with a cancelled day and then…they flew 3 more tasks , so 6 out of 7 good day’s. task 5 ;308 km…and the difference in speed between the winner AGAIN Mark [Holliday] and the last finisher was 121 km./h for 84 km./h. His ASW 27 has a handicap from 104. Task 6 ; 3.30 AAT….. 487 km. in 3.31 for Wayne [Schmidt] Chapeau ! !Speed 138 km./h. So 1000 points for him. 70 Less for Mark who was runner up but still leads the pact. [4.291] Wayne as runner up has after 5 tasks 4.022.
task 7 ; 434 km…Another great win for Wayne with a speed of 126 km./h . 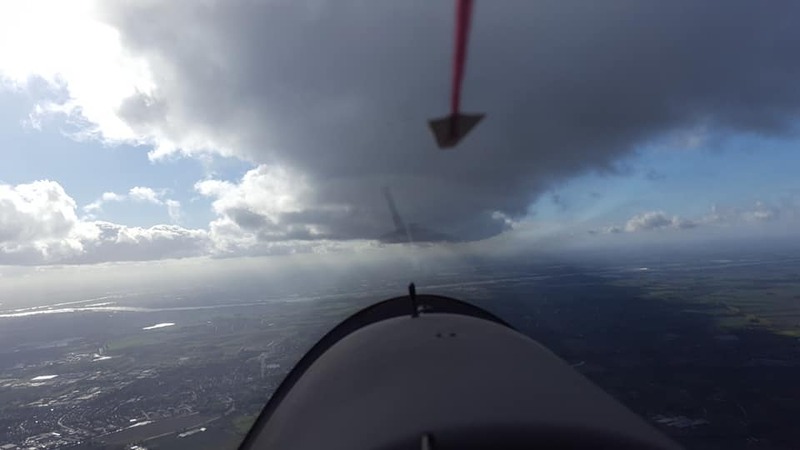 task 5 ;250 km.…same daily winner as every day before ; Jonathan [Cross] in his St. Cirrus. Speed just over 100 km./h. and all 7 finished. task 7 ;394 km.….NO,…it was not Jonathan who won EVERY day!!! A pity, as he was runner up on the last day behind Jason Adriaan,but loosing 16 points did n’t hurt him. Jonathan is NATIONAL CHAMPION in club class ;5.430 points, quite a big marge. 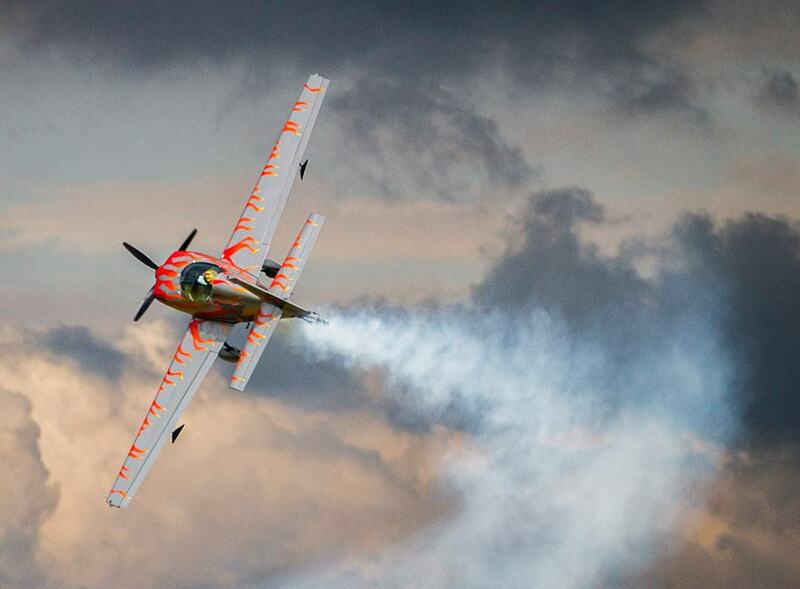 Jason was runner up 4.912 and 3d was French pilot Xavier-André Michalon with 4.521 points. 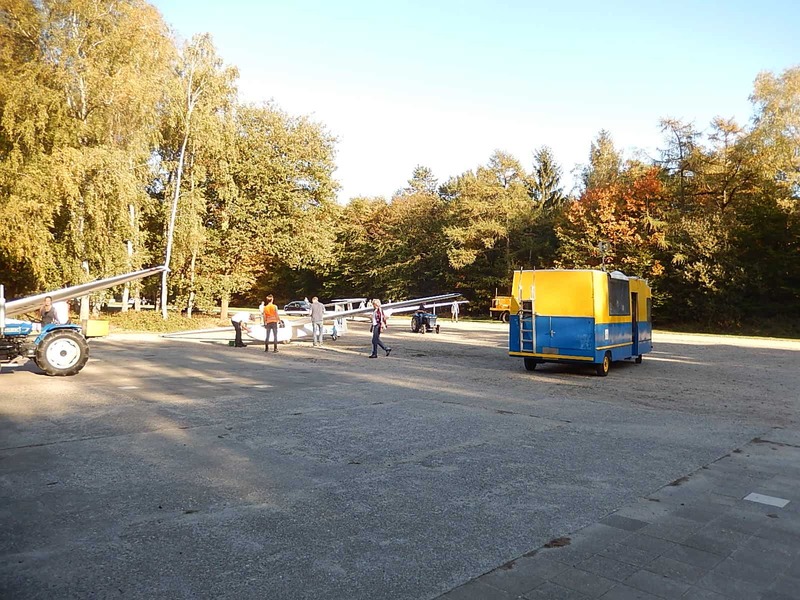 task 5;345 km….Klaus [Kalmbach] flew around with 138 km./h. John Coutts in a JS 1 was runner up with 136 km./h. and Oscar was 3d with 132 km./h. 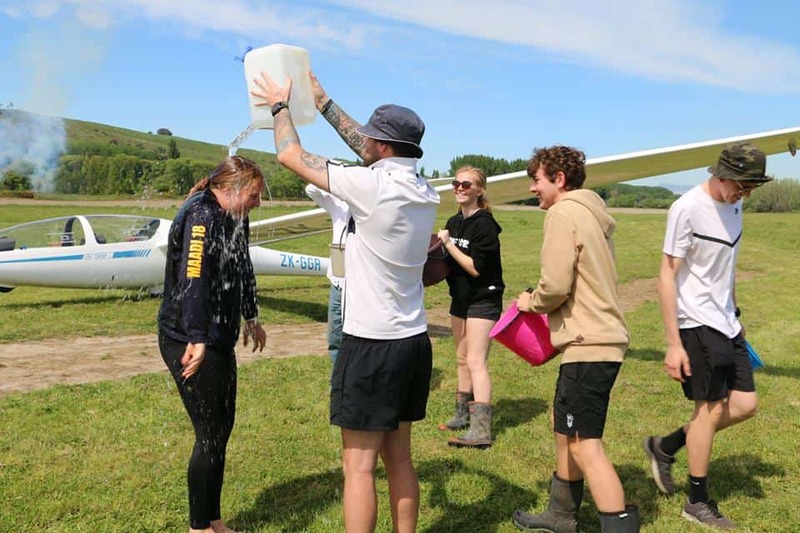 Task 6 ; 3 hour AAT….GREAT result for Natalie in her ASH 32 MI,; 480 km. in time 3.12 so 149.84 km./h !!!!! !When she starts and finishes with the “toppers”, she wins on handicap. A pity she was “only” 15th on task 5. Klaus was runner up with 153 km./h. and Oscar 3d for the day. AND , after being sick, Laurens was back again at the field and in the air; 7th for the day. After 6 tasks Oscar leads with 4.273 points, ahead of Klaus with 4.197 and John Coutts from N Z but living in S A. 4.117.
task 7 ; 509 km…...With the fastest speed for the day,149 km./h., Oscar won the day and with that the NATIONALS; 5.273 points. Runner up was Klaus with 5.072 and 3d was Couttsie with exactly 5.000 points!! Natalie was 6th with 4.886 points. A 2017 Nationals picture from Oscar in his JS 3, shared by Jonker Sailplanes. Test Pilot Martin and Production director Jaroslav. 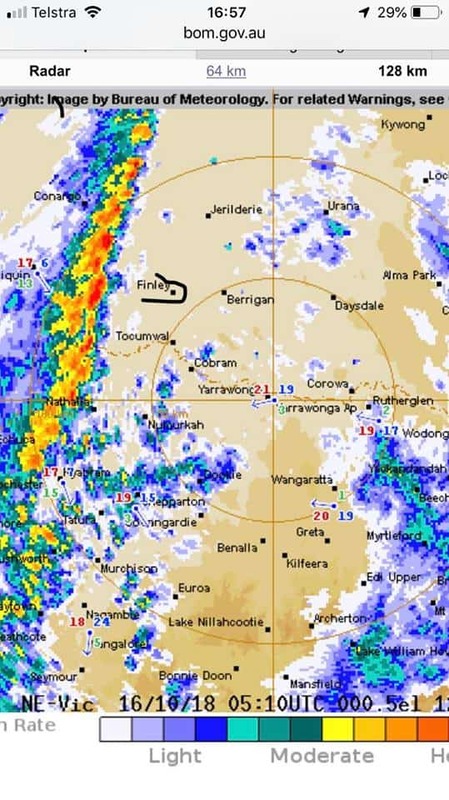 —–Great weather already in Tocumwal with high temperatures as well. Swiss Chris is back in Toc and shared this picture. 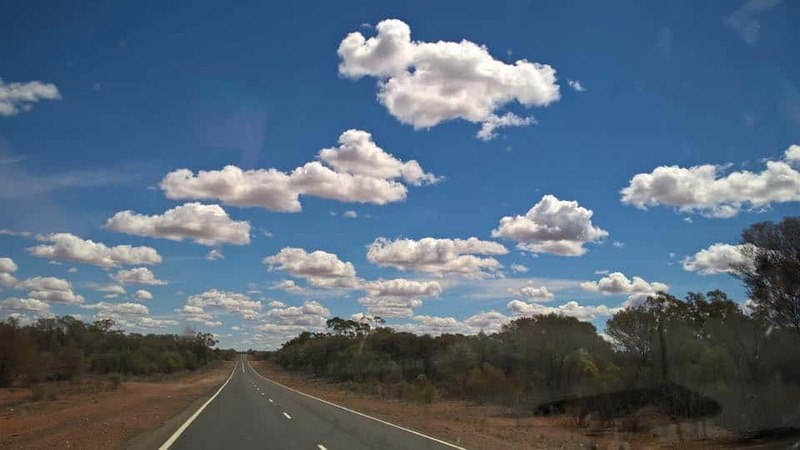 More Australian early spring weather; on the way from Narromine to Broken Hill as you can see, IN A CAR; 725 km. 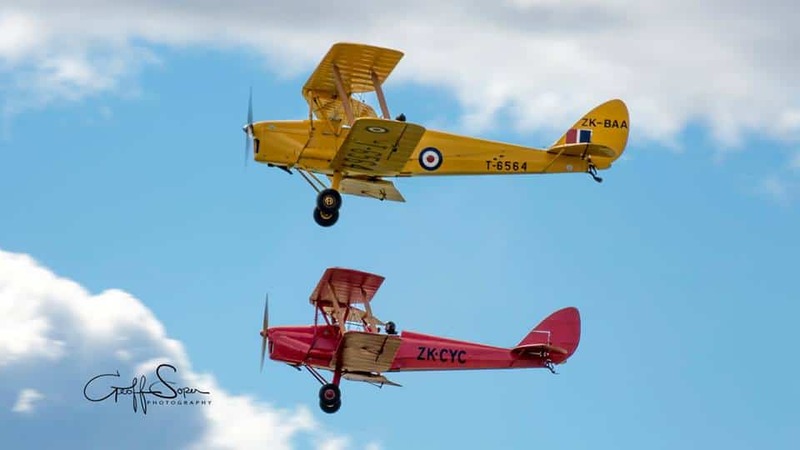 By the way,…the LAKE KEEPIT WWGC [Australia; January 3, till January 17 in 2020] will be flown in 3 classes; 18 m.,standard and club class!!!!! Just approved by the IGC. And to finish a fabulous picture from N.Z top photographer Geoff Soper…Enjoy! Brazilian Nationals ! Bahia-season started TOP !Potchefstroom…S.A. Nationals ! Strong wave in Europe yesterday! 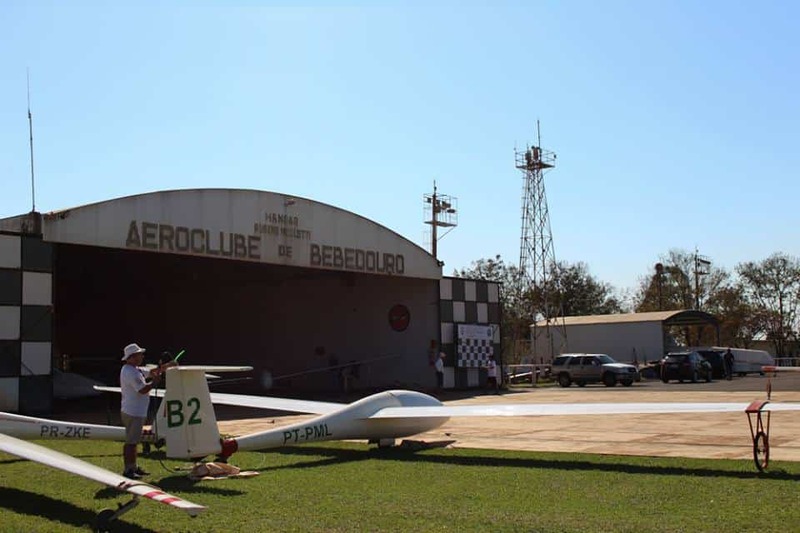 As shared by Aeroclube de Bebedouro. Day 4 with task 4 was challenging. AND,…in the end it turned out to be the last flying day! !After all the great weather it was an AAT -day. 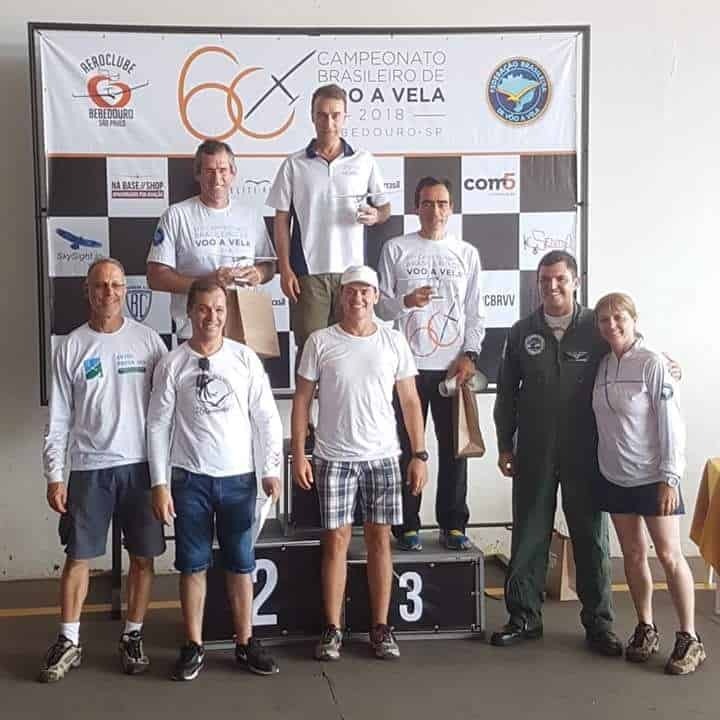 2 hour AAT….. Not Henrique, who won every day till now, but 2 other pilots were the best on this AAT day;604 points both [on handicap] for a Nimbus 4 [266 km]with Alberto Kunath and an Arcus M.  with Claudio Schmidt. Henrique was 3d. Day 5 was cancelled and there was no task on the last day. So we have winners and a champion; Henrique Navarro in N1 a Nimbus 4T; 3.536 points. AND his 7th time!! Runner up ;Alberto Kunath with 3.268 points…. 5 times Brazilian National Champion. 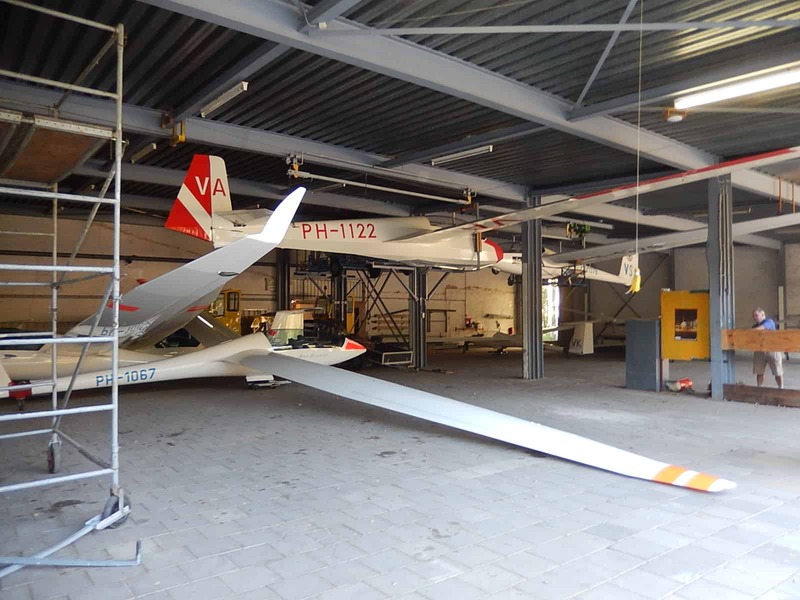 And Henrique shared a “story” about these 2 Nimbus 4 -gliders. “Nimbus 4 reunion! The last time these two N4 flew together was in the WGC in Makfing, South Africa, in 2002 maybe. They were flown by Alberto Kunath (TM) and Pete Harvey (N1). Racing; 1.45 AAT….196 km. in time 1.47, in a St Jantar by Guilherme Ribeiro was not bad;518 points for him. Champion; Itamar Lessa in ASW 20 B with 3.254 points. Runner up Luis Affonso in St Jantar with 3.181 points. Club;1.30 AAT and only 3 finishers. Valeria did not fly. Sérgio Bassi was the clear winner and CHAMPION. In his ELFE S4 he “got” 2.893 points. Runner up Luis Improta in St. Libelle with 2.678 points. Open class AT the “podium”.Other classes around. 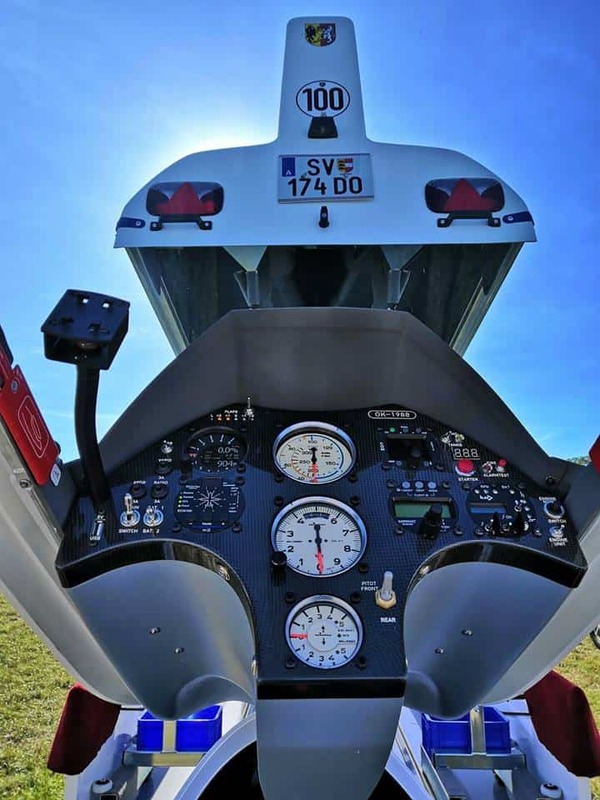 —-More news from Brasil as 3 pilots flew over 900 km. on September 26. 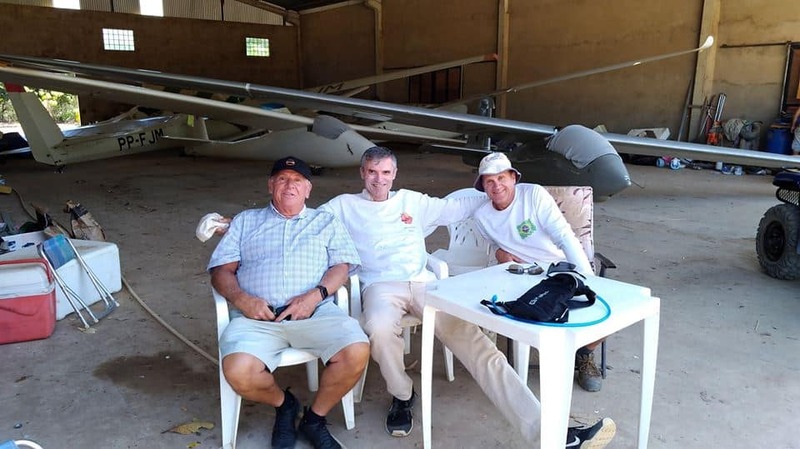 On the 25th of September the 2019 OLC started with lot’s of points for Brazilian pilots or pilots flying there. On the 26th from Bahia 926 km in a Ventus CT/ 17.5 m, trying a 1000 FAI triangle!! 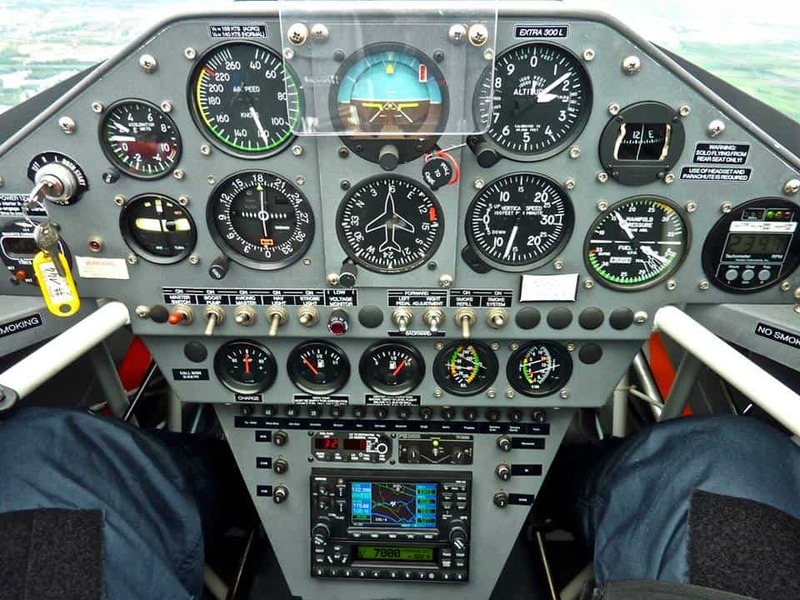 !Pilot Pablo “got” 1.040,16 OLC points. —On the 29th the South African Nationals started at Potchefstroom. A lot of pilots in 18m./open; 22 to be correct and a few less in 15 m., club and 2 seaters a total of 38!! task 2; Maybe task 1 was too short so the 7 had to fly 412 km!! !AND, except for one all flew the distance!! !Nice speed as well 113 km./h. so another win and now a 1000 points day for Mark . Task 3; 315 km….Believe it or not but Mark won again, he seems to be a one-of-a-kind- 15 m. pilot! Good on him. AND,..look at the speed …140 km./h. Wayne Schmidt also ASW 27, is mostly runner up for the day, BUT, is about 300 points behind him overall. Hanno Du Toit was runner up this day with 137 km./h on the clock. He is 3d overall. 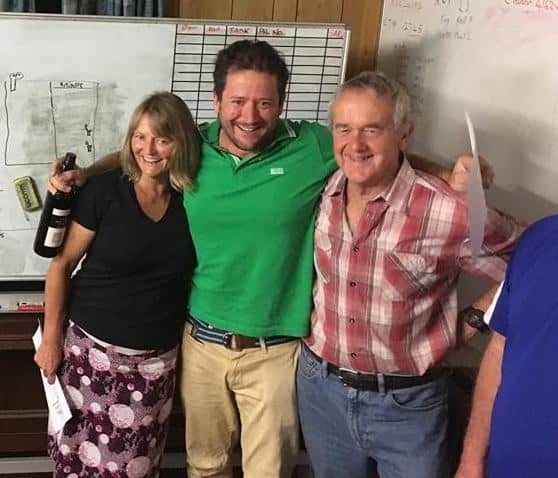 task 1; 271 km….6 pilots in this class Dave Maver flew in his ASW 20 with a speed of 102 km.h but on handicap he was runner up as the St Cirrus from Jonathan Cross flew 97 km./h. task 2; 359 km…..and Jonathan Cross was the daily best with 104 km./h.in his St Cirrus Well deserved 1000 points. 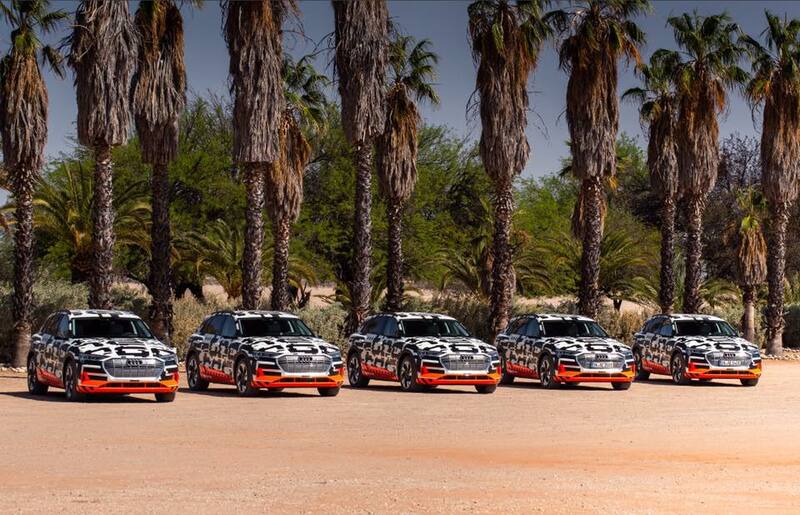 task 3;258 km….same story ,….Jonathan is the soaring-ace in club class winning every day till now. With 109 km./h he was the best. task 1; 387 km….23 pilots in this class and an exciting class with real S A toppers participating. BUT,..it was a German pilot winning the day in a S A glider the JS 3. ;Klaus Kalmbach. He started together with Laurens and finished together both had the daily prize! !AND,..908 points. Oscar was a tad slower, also in JS 3 ; 907 points!! Exciting finish. 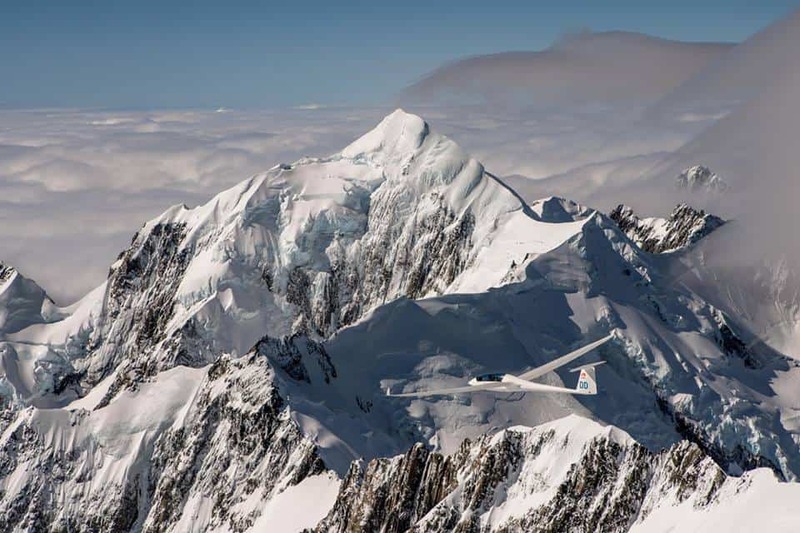 task 2; 424 km……Good on he,r a powerful lady on top; Nathalie Lueben !! !In the ASH 32 MI, [handicap 116] she flew around with a speed of 131,42 km./h. good for 1000 points. Task 3;352 km.….Oscar was the “man-on-a-mission” this day. He flew faster than all others and by a big marge; 151 km./h. 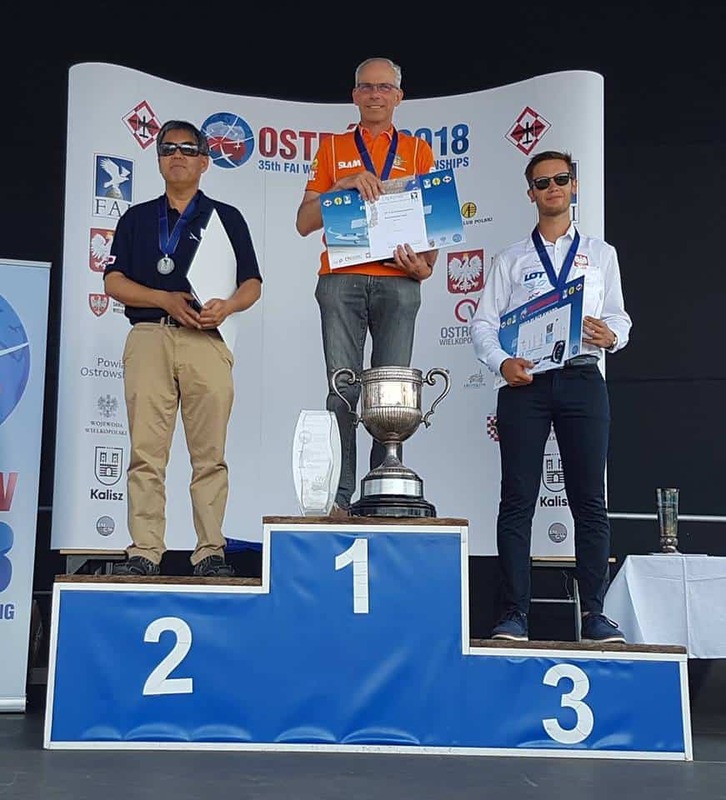 Runner up Martin Lessle in a JS 3 /15 m. flew around with 140 km./h and Danish Anders Andersen in his 18 m. JS 3 with 144 km./h. One way or another Laurens did not fly!? Oscar leads now with 3 day’s to go. German pilots Natalie and Klaus are 2 and 3 at this stage. —-The Queensland GRAND PRIX is on at Kingaroy!! With other words the annual Queensland State Comps,with 18 participants in standard/15 m and 10 in open /18 m. and GP scores . After 3 tasks Adam leads in 15 m. with 30 points followed by Peter Trotter with 23. How is this way of competition- flying different ??? —–An end of a spectacular era!!! 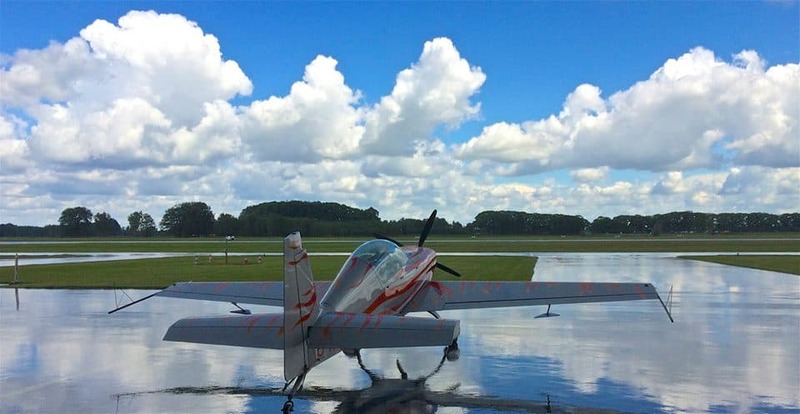 Frank Versteegh , former Red Bull Air Racer is selling his plane , EXTRA 300 L, ….a certified Aerobatic Aircraft…. to somebody who will fly it more than he does now , but treats “her” with the same respect. There MUST be somebody in this world who can do so. Frank ‘loved’ his plane and did unforgettable “things” with it. Thanks Frank!!!!! With the aerobatic coaching weekend run by Grant Piper in Tocumwal last weekend ,maybe Australia is an option?? Good luck to this little beauty!!!! Pictures and message shared by Frank. 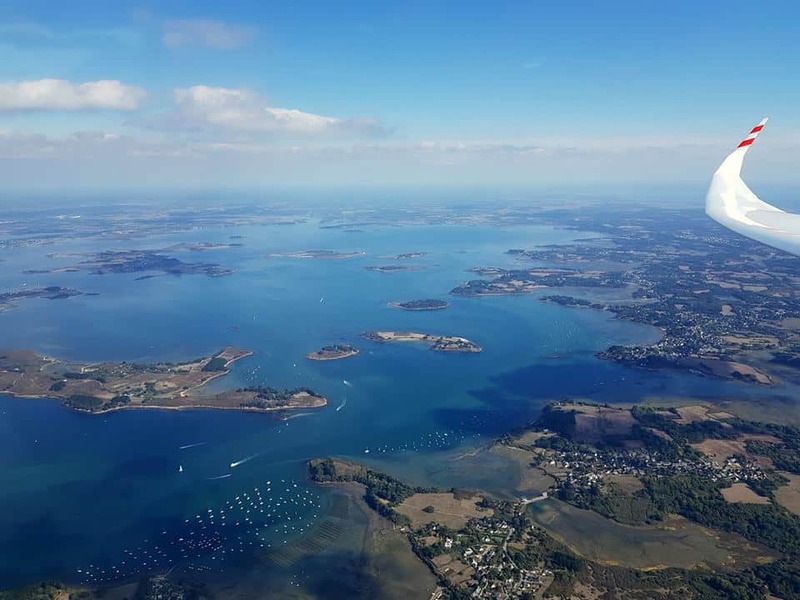 —-On the last day of September ,French pilot Philippe de Pechy , brought an ode / ballade sur le Golfe du Morbihan. 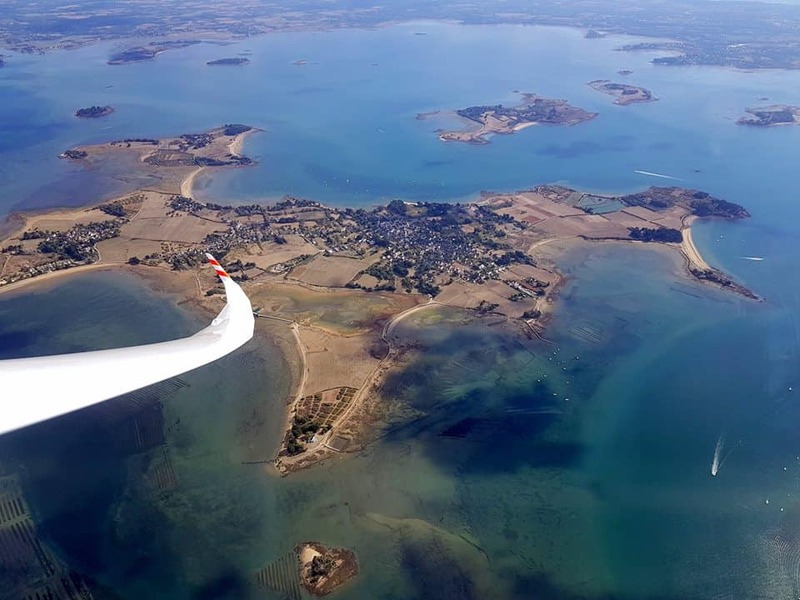 From Rennes Saint-Sulpice he flew West to the coast in his 21 m. JS 1,…..and what great pictures of fabulous isles, he took. I share 3 of them.More on his FB site. Commune de l’Ile aux Moines and Île-d’Arz. All pictures shared by Philippe. Wow look at his flight on the OLC. Lot’s of water!!!! And the Scottish wave was not always THAT high!! He took off in his ANTARES from Kinross. 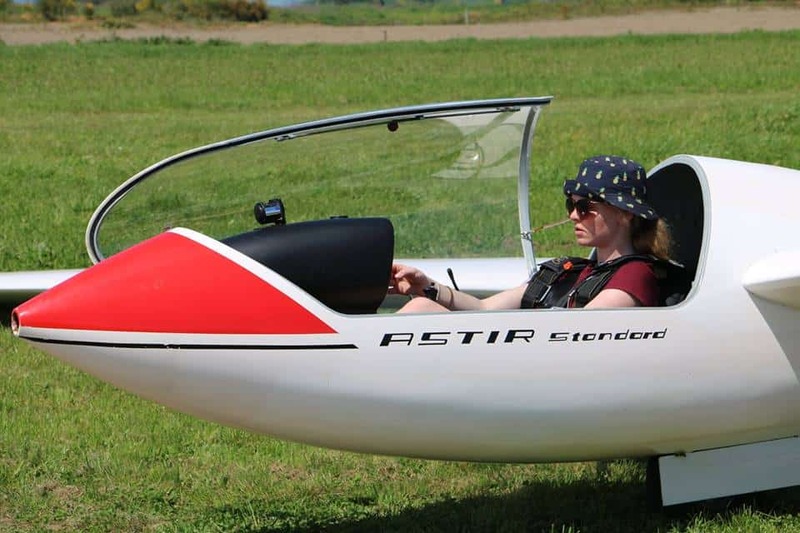 Also Edward Downham flew over 1000 km.on this wave day from Kinross. [ASH 25EB 28] AND,…in a Discus with Santiago Cervantes, 970 k. is not bad either!!!! And another LONG flight yesterday from Europe,..the Stemme with Klaus flew from La Cerdanya in Spain 1.300 km. with a speed of 116 km./h.!!! !Their wave went much higher . And another one from France, I heard about the mistral and Robert Prat flew 1.203 km. at 127 km./h. from St Gaudens in the ASG 29 /18m.